The Monroe High School Talent Show is BACK!! 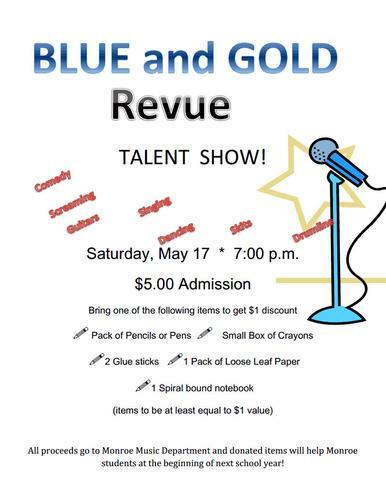 Saturday, May 17th at 7PM!! You will NOT want to miss this year's show. Comedy, screamin guitars, the Hot Pop Music, and some serious talent! Tickets are only $5 each. See the flyers around the school on how to get a $1 discount. This performance is open to ALL grades and the community. See you there!